Kazakh field and track athlete pockets silver at Asian Championship NUR-SULTAN. KAZINFORM The 23rd Asian Athletics Championship opened in Doha, Qatar, on April 21. Zelensky leads with 73.01% after half of electoral ballots counted KIEV. 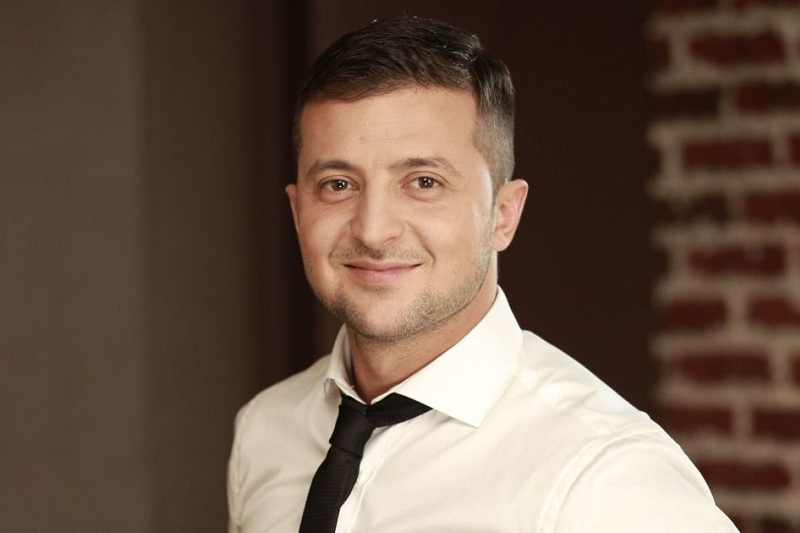 KAZINFORM Vladimir Zelensky is leading in the runoff stage of the Ukrainian presidential election with 73.01% of the vote after Ukraine's Central Election Commission has counted 50% of electoral ballots, the commission informed on Monday. Kazakhstan wins silver at Asia-Pacific Judo Championships in Fujairah ALMATY. KAZINFORM Kazakhstani judoka Otgontsetseg Galbadrakh grabbed the silver medal at the Asia-Pacific Judo Championships Seniors 2019 kicked off in Fujairah, the United Arab Emirates. April 22. Today's Birthdays NUR-SULTAN. KAZINFORM Today's Birthdays is the one-stop shop where you can learn about prominent Kazakhstani people who were born on the 22nd of April. 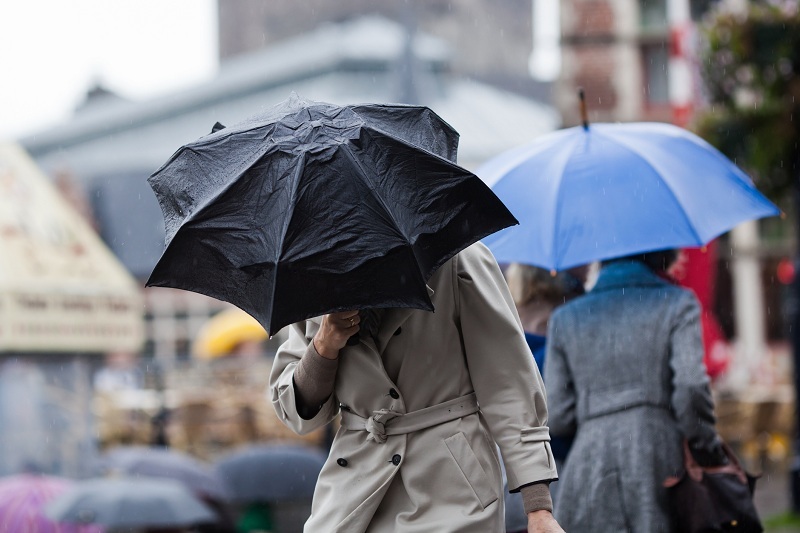 Amstel Gold Race. 3rd place for Astana's Fuglsang after spectacular final NUR-SULTAN. KAZINFORM The second podium for Jakob Fuglsang on April 21 in the classics season after a spectacular final. 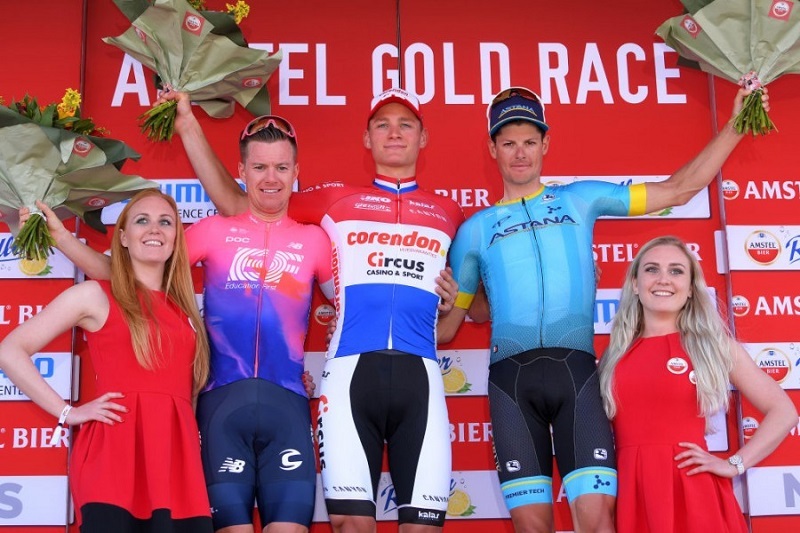 After his second place in Strade Bianche, he was third in the Amstel Gold Race. April 22. Kazinform's timelines of major events NUR-SULTAN. 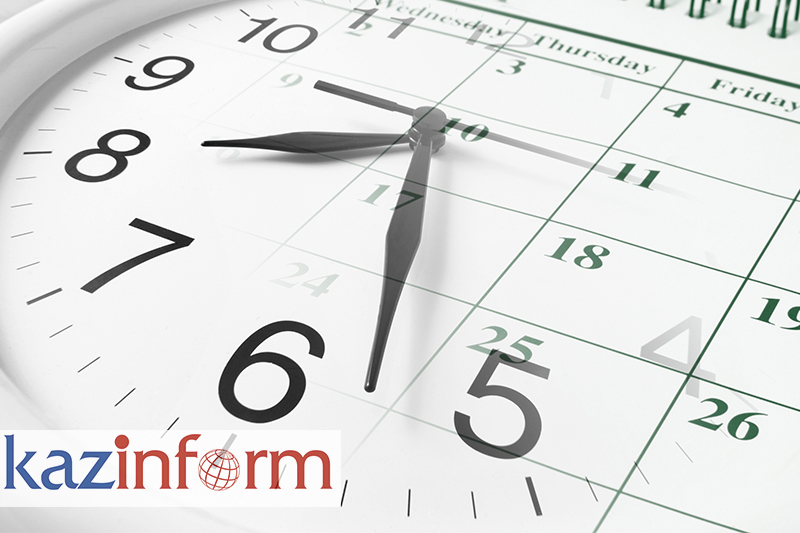 KAZINFORM - Kazinform's Timeline is the one-stop shop where you can learn about historical events for the 22nd of April. See what notable events happened throughout Kazakhstan's history on April 22. South Korean President arrives in Nur-Sultan NUR-SULTAN. 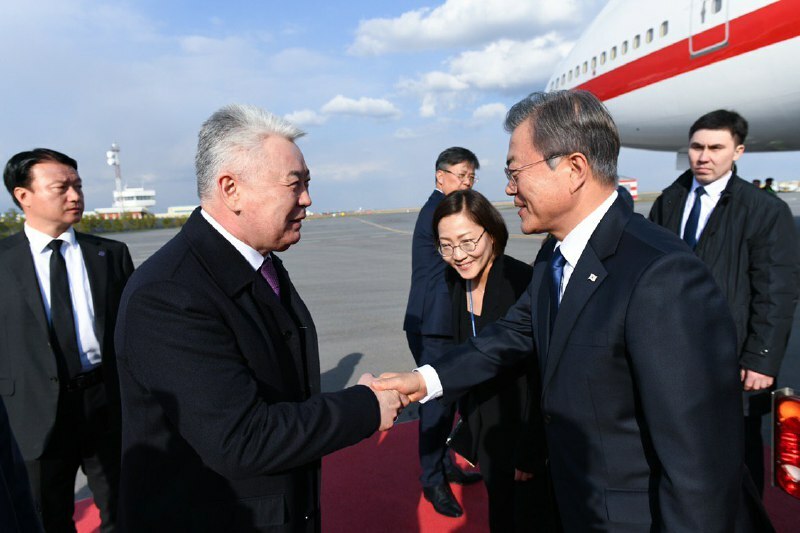 KAZINFORM - President of the Republic of Korea Moon Jae-in has arrived in Nur-Sultan for a state visit, Kazinform has learnt from the press service of the Kazakh Foreign Affairs Ministry. Elizabet Tursynbaeva stuns in Champions on Ice performance NUR-SULTAN. KAZINFORM - Kazakhstani figure skater and silver medalist of the 2019 World Figure Skating Championships Elizabet Tursynbaeva performed in Eteri Tutberidze's ice show Champions on Ice in the Russian city of Krasnodar, Kazinform reports. Tokayev on explosions in Sri Lanka: World community should unite efforts against this evil NUR-SULTAN. 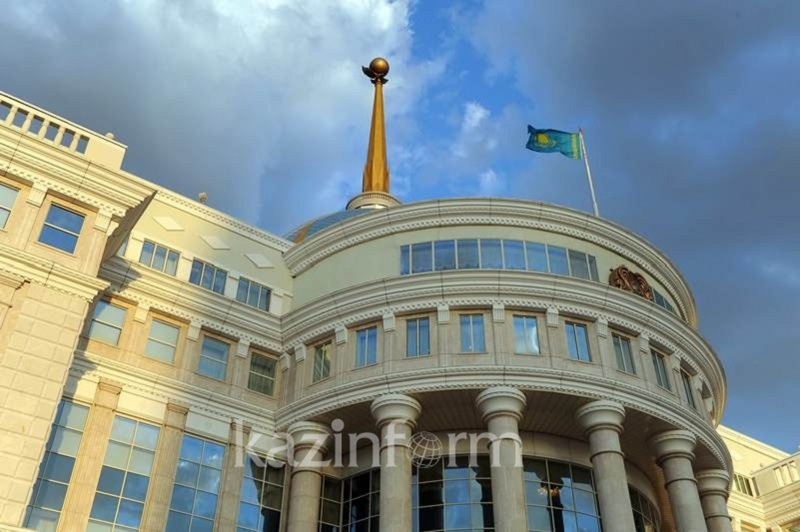 KAZINFORM - Head of State Kassym-Jomart Tokayev has extended his condolences to the families of the victims of the deadly explosions in Sri Lanka, Kazinform reports. 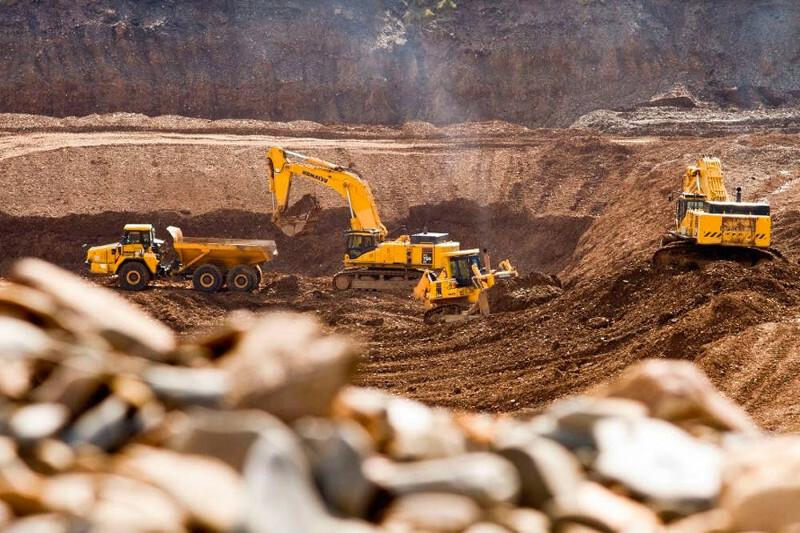 German company to build gold mining enterprise in Kazakh region NUR-SULTAN. 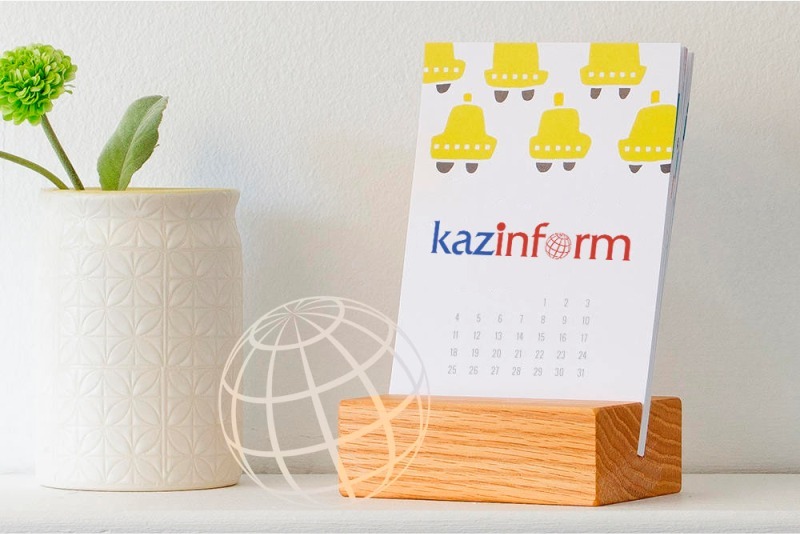 KAZINFORM - German company Aurum Deutschland AG will build a mining and metallurgical plant in the Kordai district of the Zhambyl region of Kazakhstan, Trend reports. Astana's Kudus finishes 3rd in Tour of Turkey Stage 5 NUR-SULTAN. 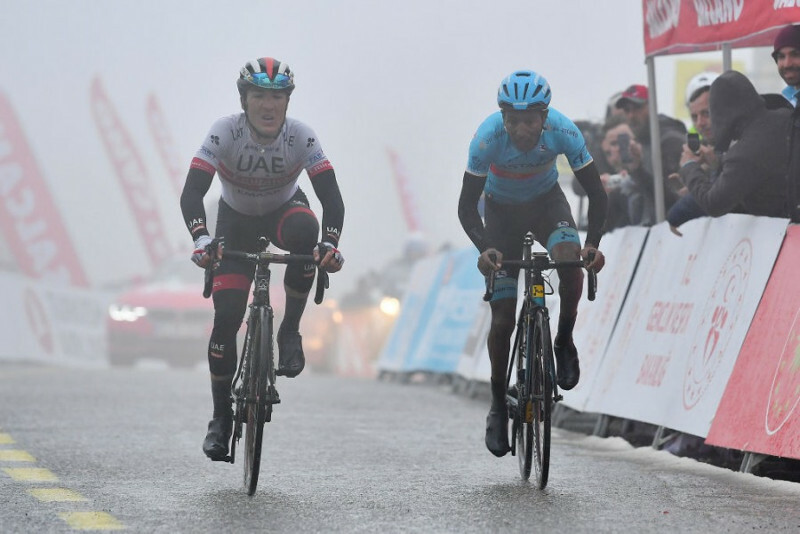 KAZINFORM - The queen mountain stage of Presidential Cycling Tour of Turkey finished today after a very cold 160 km of racing, with all day raining and snowfall at the summit finish on Kertepe climb, Kazinform has learnt from the club's press service. 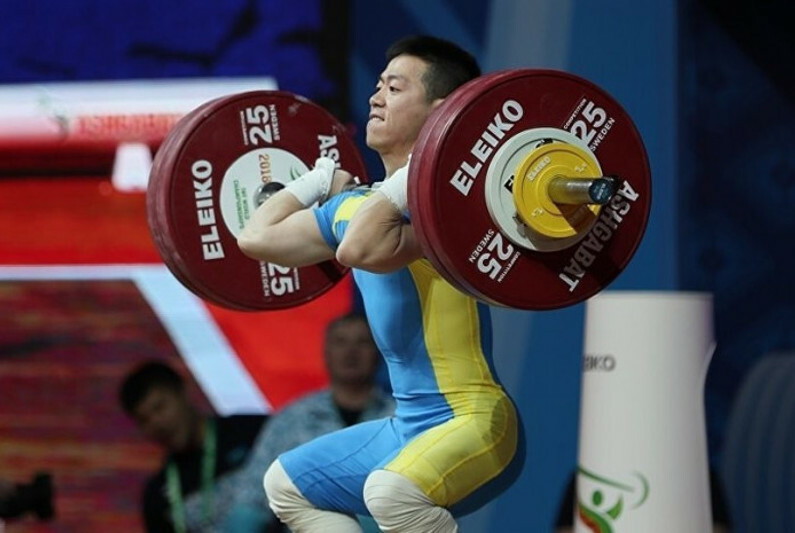 Kazakhstani Arli Chontei hauls bronze at Asian Weightlifting Championships ALMATY. KAZINFORM - Kazakhstani weightlifter Arli Chontei clinched bronze at the 2019 Asian Weightlifting Championships in Ningbo, China, Kazinform reports. April 21. Today's Birthdays NUR-SULTAN. KAZINFORM Today's Birthdays is the one-stop shop where you can learn about prominent Kazakhstani people who were born on the 21st of April. April 21. Kazinform's timeline of major events NUR-SULTAN. 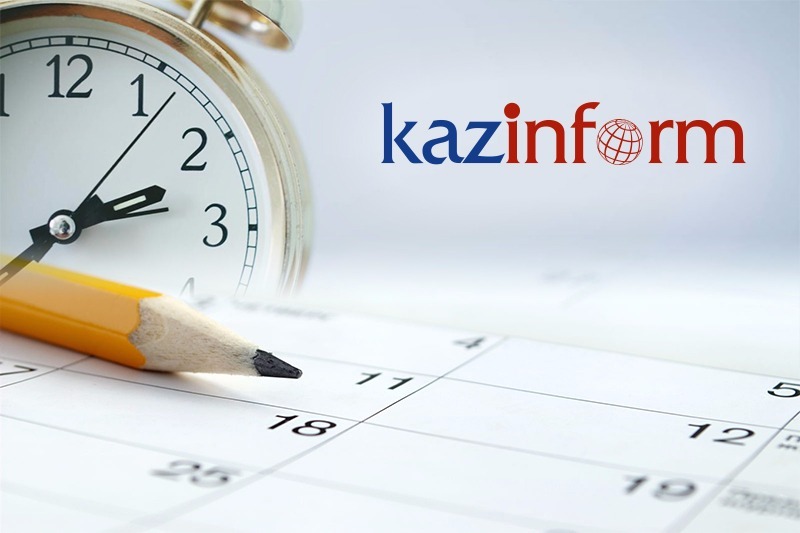 KAZINFORM - Kazinform's Timeline is the one-stop shop where you can learn about historical events for the 21st of April. See what notable events happened throughout Kazakhstan's history on April 21. Kazakhstan and South Korea have a lot of common history and culture NUR-SULTAN. KAZINFORM - Lee Sang ki, Founder President of Asia Journalist Association and publisher of the AsiaN, Magazine N, has shared his thoughts on the Kazakh-Korean bilateral relations on the eveof the upcoming President Moon Jae-in visit to Kazakhstan. Kazinform International News Agency shares his article with its readers. China's Xi to address Belt and Road forum next week: FM BEIJING. KAZINFORM - Chinese President Xi Jinping will deliver a keynote speech at the second Belt and Road Forum for International Cooperation (BRF) to be held from April 25 to 27 in Beijing, State Councilor and Foreign Minister Wang Yi announced Friday, Xinhua reports. Deputy governor of Zhambyl region appointed NUR-SULTAN. 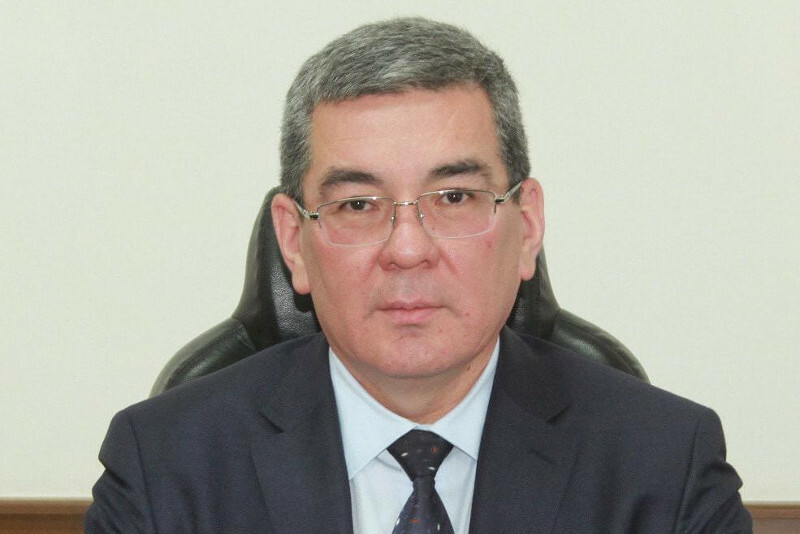 KAZINFORM - Nurzhan Kalenderov has been appointed as the new deputy governor of Zhambyl region, Kazinform reports. 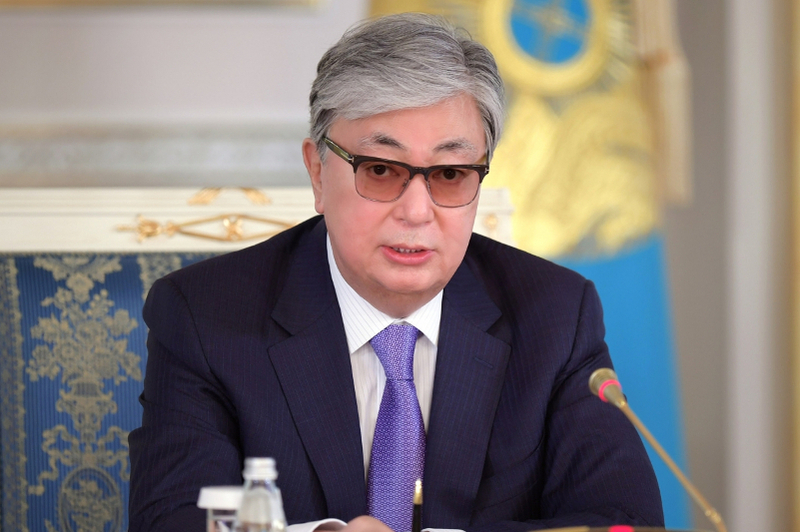 President Tokayev condoles with families of Zhambyl road accident victims NUR-SULTAN. 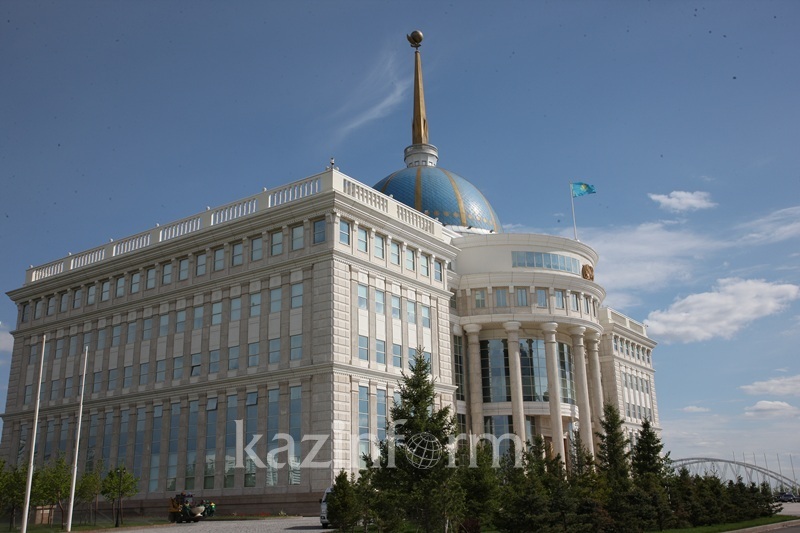 KAZINFORM - President of Kazakhstan Kassym-Jomart Tokayev has extended his condolences to the families of those killed in the road accident in Zhambyl region, Kazinform reports. Kazakh Firuza Sharipova, opponent hold official weign-in ahead of fight NUR-SULTAN. 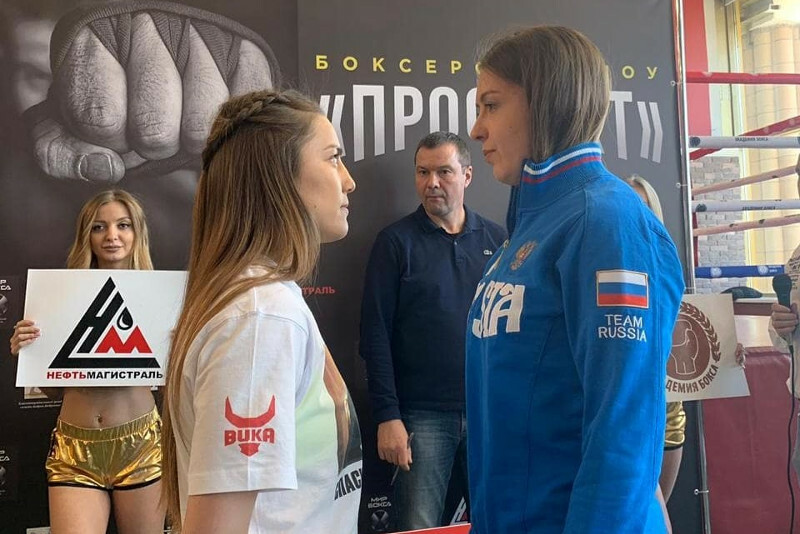 KAZINFORM - Kazakhstani Firuza Sharipova and Russian Anastasia Trisheva have weighed in before their upcoming fight in Russia, Kazinform reports. 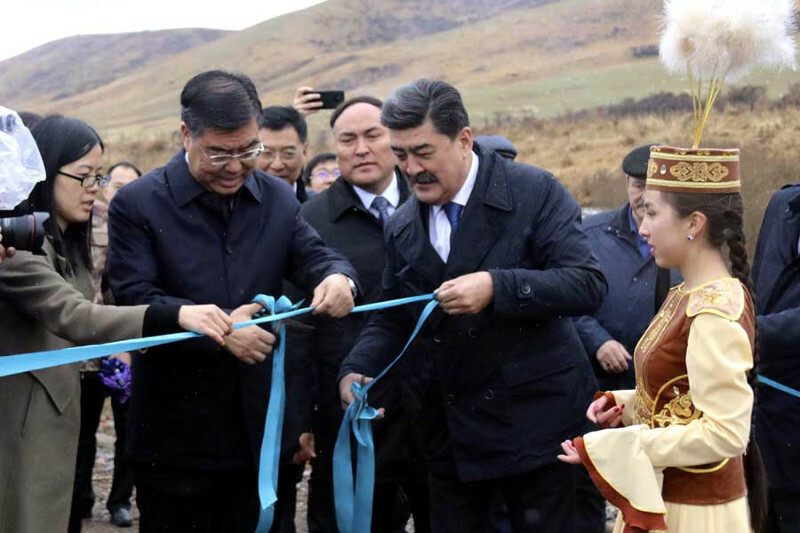 China-Kazakhstan water projects a model for cooperation XINJIANG. 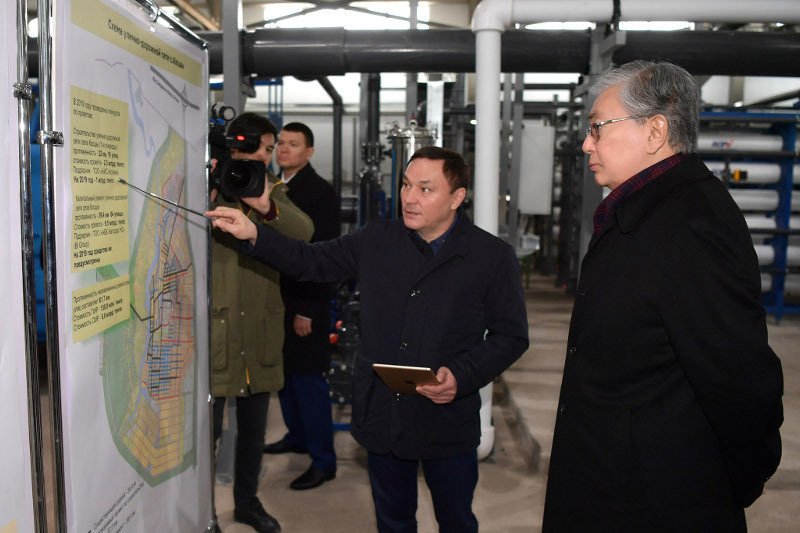 KAZINFORM - Two water projects on boundary rivers between China and Kazakhstan are expected to benefit people on both sides, the Chinese Ministry of Water Resources said, China Daily reports. 11 killed in horrific car accident in Zhambyl region NUR-SULTAN. 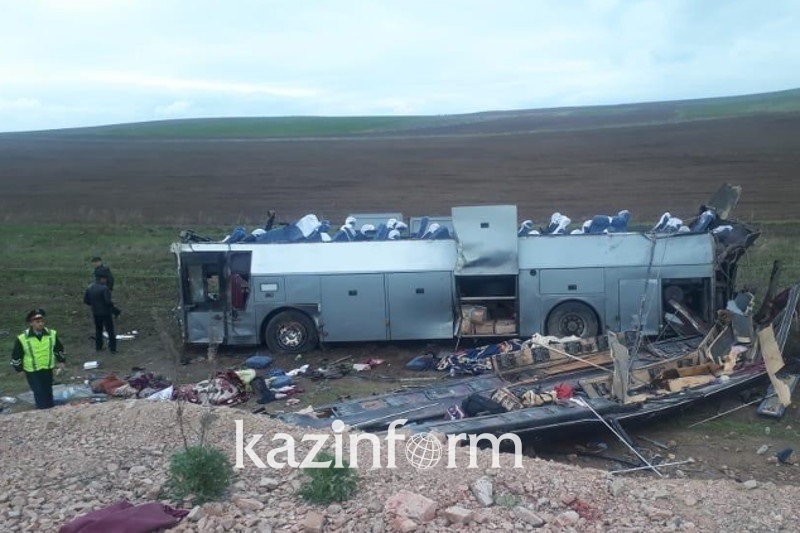 KAZINFORM - 11 people have been killed as a result of a horrific road accident in Zhambyl region, Kazinform has learnt from the press service of the Ministry of Internal Affairs of the Republic of Kazakhstan. Food prices in Kazakhstan rise significantly due to inflation NUR-SULTAN. 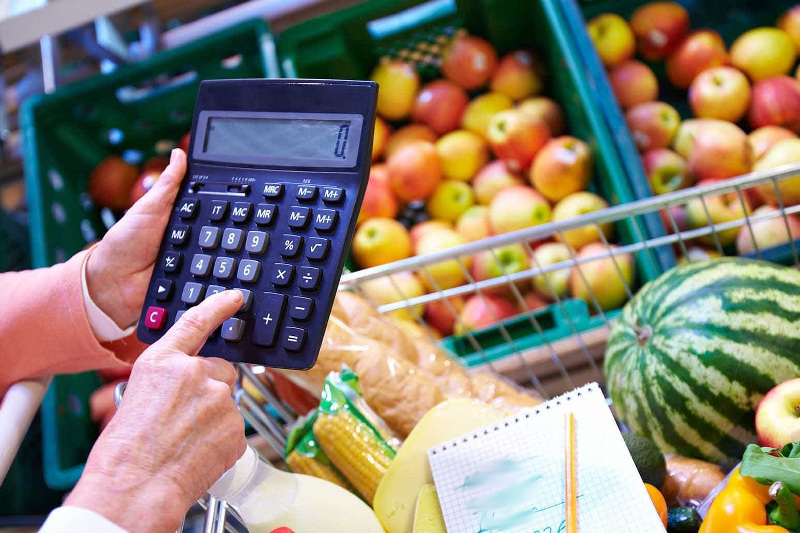 KAZINFORM - Inflation of 4.8 percent in March 2019 in Kazakhstan facilitated the rise in food prices by 6.7 percent at once, Trend reports with reference to energyprom.kz. Second earthquake jolts Almaty region this week NUR-SULTAN. KAZINFORM - The second earthquake in a row has shaken Almaty region this week, Kazinform reports. 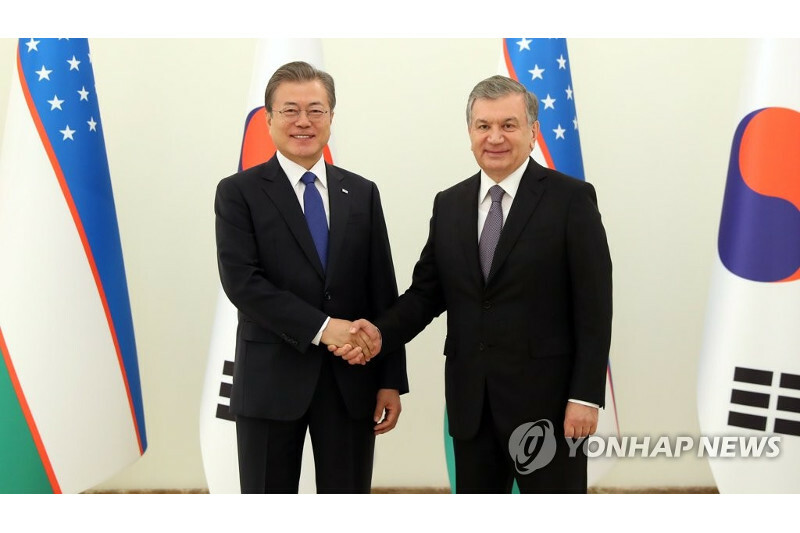 S. Korean president to visit Samarkand to highlight friendship with Uzbekistan TASHKENT. KAZINFORM - South Korean President Moon Jae-in was set to visit Uzbekistan's historic city of Samarkand Saturday, highlighting his country's long friendship with the Central Asian nation that he says dates back to the era of the Silk Road, Yonhap reports. Astana riders in another sprint in Tour of Turkey Stage 4 NUR-SULTAN. KAZINFORM - The longest stage of Presidential Tour of Turkey 194.3 km long from Balikesir to Bursa finished today with another massive sprint won by Australian rider Caleb Ewan, Kazinform has learnt from the club's press service. April 20. Today's Birthdays NUR-SULTAN. 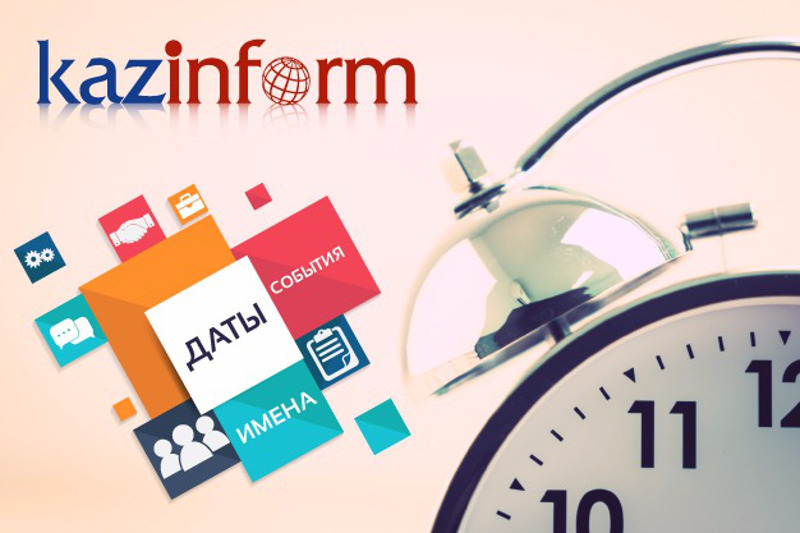 KAZINFORM Today's Birthdays is the one-stop shop where you can learn about prominent Kazakhstani people who were born on the 20th of April. April 20. 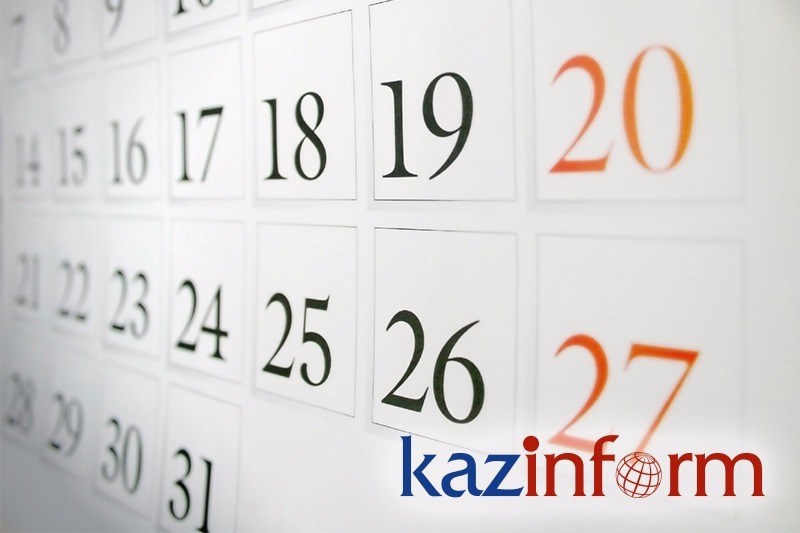 Kazinform's timeline of major events ASTANA. 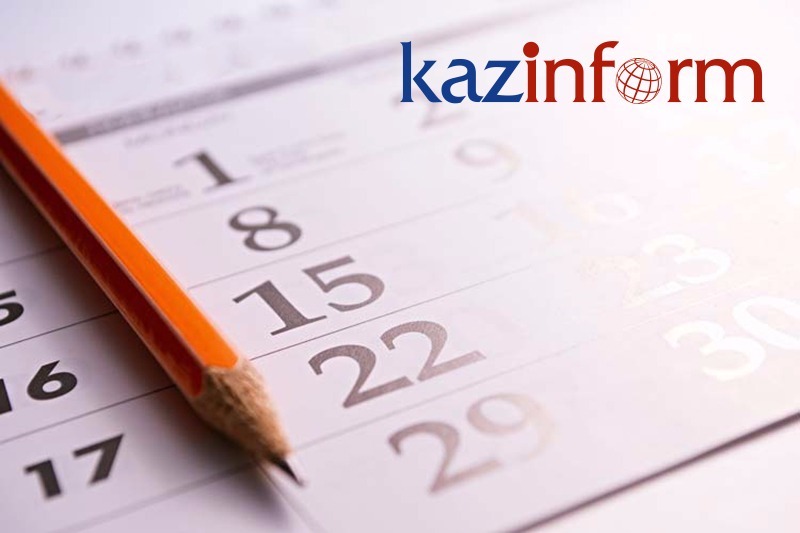 KAZINFORM - Kazinform's Timeline is the one-stop shop where you can learn about historical events for the 20th of April. See what notable events happened throughout Kazakhstan's history on April 20. 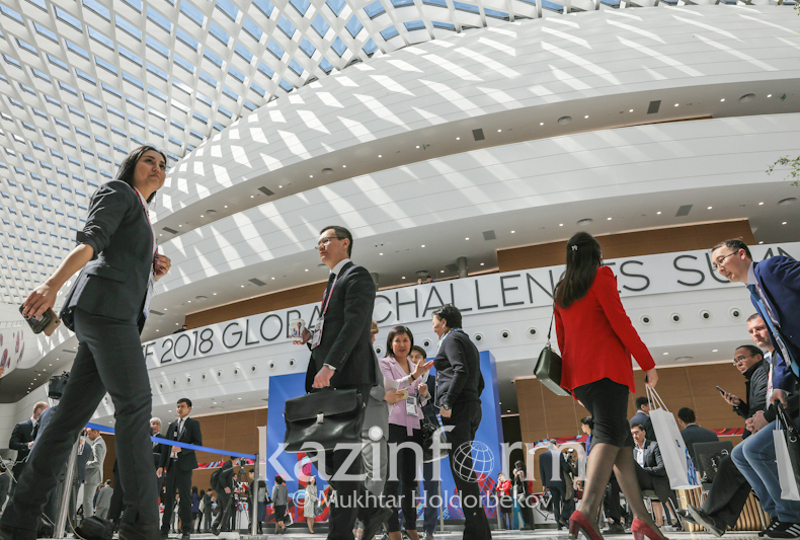 Kazakh capital to host 12th Astana Economic Forum on May 16-17, 2019 NUR-SULTAN. KAZINFORM The capital city of Kazakhstan awaits the leading international experts, Nobel Prize winners, current and former presidents, politicians, economists, scientists, businessmen, CEOs listed in the Fortune 500 and world-renowned cultural figures for the Astana Economic Forum 2019. 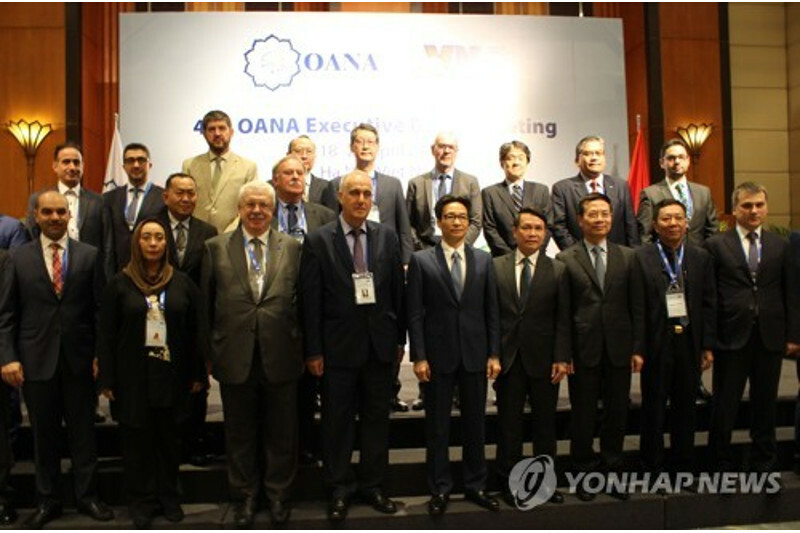 Yonhap News to host OANA assembly meeting in November in Seoul HANOI. KAZINFORM Yonhap News Agency, South Korea's key newswire, said Friday it will host a general assembly of the Organization of Asia-Pacific News Agencies (OANA), a gathering of 44 news agencies in the region, in November in Seoul, YONHAP reports. Kazakhstan, Kyrgyzstan hold consular consultations in Bishkek BISHKEK. KAZINFORM Foreign ministries of Kazakhstan and Kyrgyzstan held the 5th regular consular consultations in Bishkek with the participation of the representatives of other relevant authorities, the press service of the Kazakh MFA informs. Senate Speaker had several meetings in St. Petersburg SAINT PETERSBURG. KAZINFORM Chairperson of the Senate of the Kazakh Parliament Dariga Nazarbayeva has had a number of bilateral meetings in Saint Petersburg on the sidelines of the IPA CIS session. ​Foreign Minister receives Ambassador of Republic of Korea NUR-SULTAN, April 18, 2019 - Minister of Foreign Affairs of Kazakhstan, Beibut Atamkulov, received the Ambassador of the Republic of Korea to the Republic of Kazakhstan, Kim Dae-sik, in connection with the upcoming state visit to Kazakhstan of South Korean President, Moon Jae-in, Kazinform learnt from the MFA press service. New Chairman of Motor Roads Committee of Ministry of Industry and Infrastructure Development appointed NUR-SULTAN. 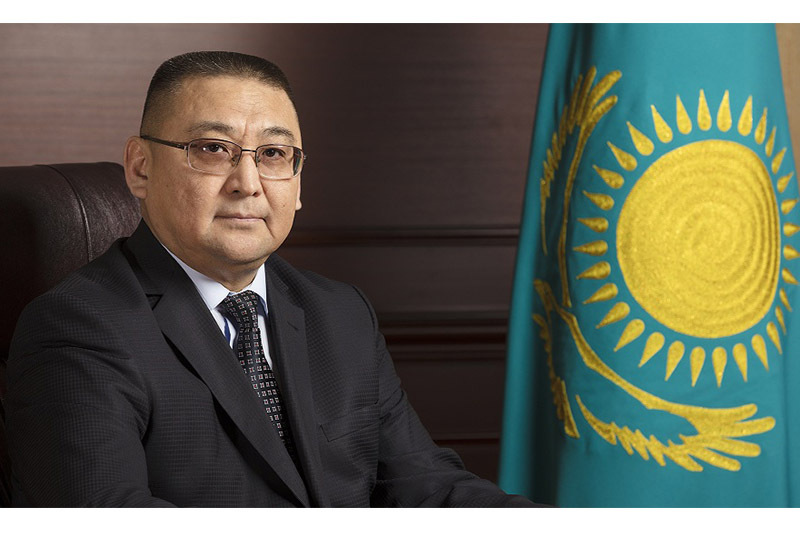 KAZINFORM By an order of the Minister of Industry and Infrastructure Development, Sairanbek Barmakov has been appointed as Chairman of the Ministry's Motor Roads Committee.